In a time of religious resurgence and a weakening liberal order, James Walters’ new book serves as a practical real-world guide on strengthening interfaith relations. Genuine dialogue, rooted in an honesty that takes us beyond Western preconceptions, must occur at all levels of society. This can pave the way for radical social transformation in which the wisdom of religious imaginations is creatively employed to tackle the great global issues of our time. Pope Francis and Grand Imam Ahmed el-Tayeb at the signing of the Document on Human Fraternity (Vatican Media). Religious conflict is increasing on every continent. These may be conflicts where religious identity and belief are the primary driver of tensions or where religion has become the label to which complex grievances have been attached. The British Foreign Secretary’s recent announcement of an independent review of the UK’s response to Christian persecution around the world highlights one significant manifestation of this. But it is important to acknowledge that there is no one victim or one oppressor in today’s escalating religious tensions. Christians are suffering at the hands of Muslims in several countries, particularly across the Middle East. But Muslims are suffering at the hands of Buddhists in Myanmar. Sikhs and Christians are suffering at the hands of Hindus in parts of India, and Hindus at the hands of Muslims in Pakistan. Atheists too, while escalating suppression of religions in China, are criminalised in many countries, 13 of which punish atheism with death. And one of the challenges of our globalised, mobile and technologically-networked societies is that these regional tensions spread around the world as diaspora communities, conscious of the suffering of their coreligionists in other parts are the world, project these tensions onto the different religious communities around them. As I argue in Loving Your Neighbour in an Age of Religious Conflict, this situation requires two new forms of learning and two new kinds of action. First, we need a better understanding of why religious narratives have come to the fore in this way, defying long-held Western assumptions about the increasing relegation of religion to private life. I argue that the increased religious tribalism and conflict we are seeing is, in large part, a response to a broader crisis of the systems and ideas that have ordered the modern world. As democracy, free markets and human rights have entered a period of crisis as the global organising system, religion has proved an enduring resource for identity and collective aspiration. Egypt is an example where successive attempts to “modernise” the nation along Western lines (including the 2011 revolution) have stalled while popular religious identity, including sectarianism, has become more dominant. Whether through transnational religious movements like Islamism or in populist forms of nationalism (Putin’s Russia, Trump’s America, Modi’s India), religion is a galvanising force in contrast to a weakened liberal order. Such circumstances require new learning about religion itself. Religious literacy is on the agenda for governments and businesses alike. But for those of us with inherited assumptions about religion as private, spiritualised and primarily cognitive, we need to move beyond a simple learning about doctrines and practices. Effective religious literacy is the building of a skill set that enables people to navigate the languages, symbols and practices of different religious traditions and to develop some sense of empathy with their adherents. In the religious literacy programmes that we run at LSE we are concerned that students don’t just learn what other people believe but rather how different religious believers imagine the world and their place within it. Learning leads to action and our time of religious conflict requires that action takes the dual form of dialogue and social transformation. Interfaith dialogue is often viewed as the task of religious leaders. 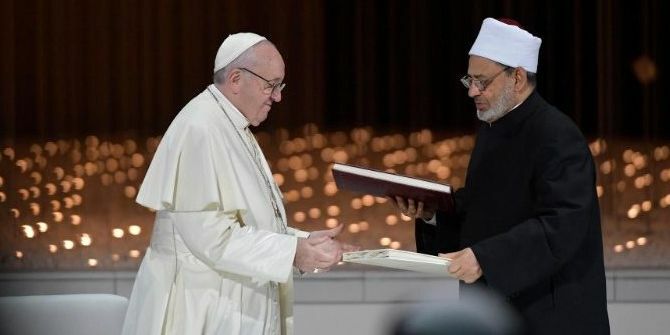 This is necessary and given great symbolic power by events like Pope Francis’ recent visit to the United Arab Emirates. But in a globalised world of resurgent religion we need to move away from the idea that interfaith dialogue can be left to the experts alone. The ‘trickle-down theory’ of religious harmony is predicated on hierarchical, well-disciplined and all-encompassing religious institutions that are largely a fantasy. Interfaith dialogue needs to be taking place at all levels within religious communities, and extend beyond them. I argue that the non-religious need to be more engaged in interfaith activities, both those who come from committed atheistic or secularist perspectives and those who, more commonly in the West, come with a Christian cultural heritage and may well be perceived as Christians by the non-Western world. These dialogues need to be more honest, moving away from liberal, syncretistic or relativist assumptions and allowing people to engage robustly but generously about their competing truth claims. Finally, action must take a second form: collaborative social transformation. Rather than simply seeing the conflicts of religious tribalism, we should also recognise how the world’s multiple religious imaginations can also be sources of wisdom to address the intractable problems we face. Foremost among those challenges is climate change where the resources of religious thought are considerable and where the structures of religious community present great opportunities for practical change. I argue that environmentalism should not be just another project that interfaith groups might consider collaborating on. Climate change is at the centre of the crisis of the human with which all religious traditions are concerned and about which interreligious dialogue has often been most fruitful. It is also the case that the growing resource scarcities that our world will face in the coming decades will be one of the major vehicles of religious conflict which we all have an interest in avoiding. The religious conflicts of our time are prolific and, in some cases, intractable. But with the right forms of learning and collective action, we can challenge tribal mentalities and allow religiously plural societies to flourish to the benefit of the common good. 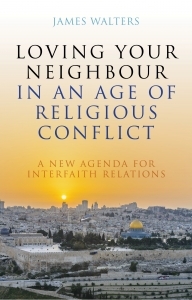 Note: Loving Your Neighbour in an Age of Religious Conflict: A New Agenda for Interfaith Relations was published by Jessica Kingsley Publishers and can be purchased here. James also introduces the book in this LSE video. 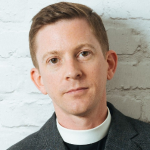 James Walters is the founding director of the LSE Faith Centre and leads its work in promoting religious literacy and interfaith leadership among the LSE’s global student body, in government and to the wider public. He is a Senior Lecturer in Practice at the LSE Marshall Institute for Philanthropy and an affiliated faculty member at the Department for International Development. He has recently published Loving Your Neighbour in an Age of Religious Conflict: A New Agenda for Interfaith Relations. He tweets @LSEChaplain.